Every year we see the publication of the Forbes list, ranking the wealthiest people in the world. Have you ever wondered how and at what age these people actually made their money in the first place? 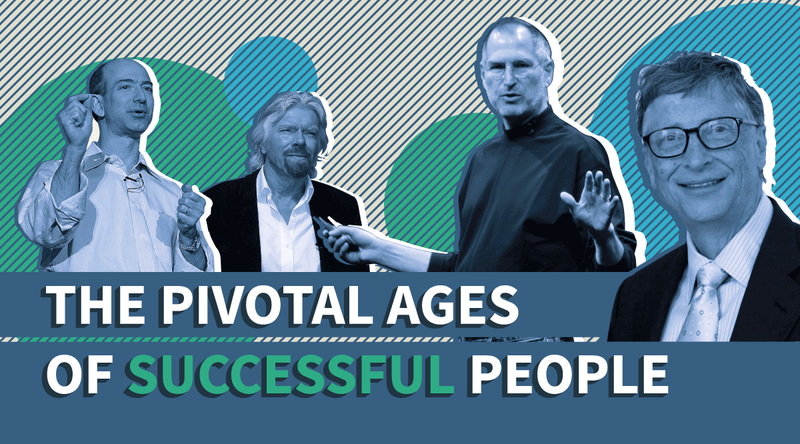 This infographic looks at some of the most successful people in business and entertainment and explores the ages at which they hit various landmarks, such as starting their own business and earning their first million. Many of the world’s wealthiest and most successful people come from very humble backgrounds and their stories are a reminder that through determination, courage, and a bit of luck, anyone (at any age!) can overcome their circumstances and achieve great success.